Pulse Commerce supports 3 display values controlling the inventory details in product description pages in the store. Navigate to Products > Product Catalog Manager > Product Editor. Inventory Display Options support 3 value as follow: Do not Display; In Stock (Yes/ No) & Item Count. 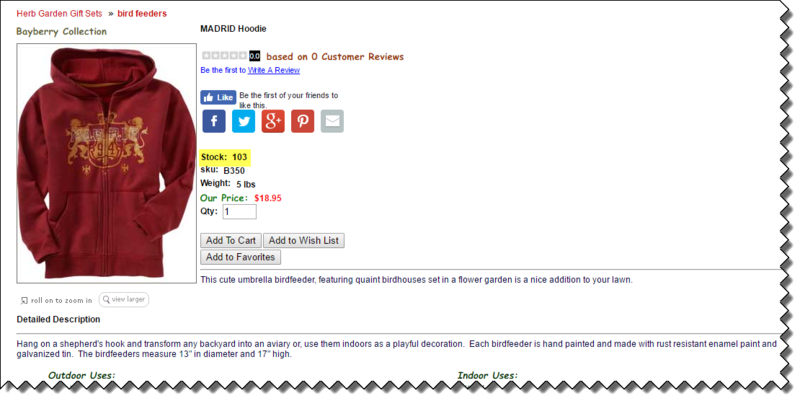 Do not Display – Does not display the inventory details in product description pages in the Store. In Stock (Yes/ No) – Displays the stock availability in the Store. If stock is not available it will be displayed as No, and Yes if the stock is available. Item Count – Displays product stock QTY in Store.